THE Gerehu Clinic will be a provincial hospital and health hub for the National Capital District, Health Minister Michael Malabag said yesterday at the launching of the Gerehu General Hospital. 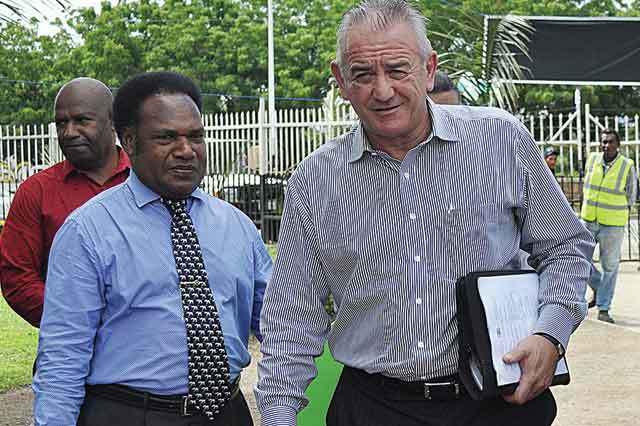 He said that the decision was made by the Government to free up space at the Port Moresby General Hospital to become the country’s national referral and teaching hospital. Malabag said that the decision to declare Gerehu as the second hospital in the national capital was also because of the growing population. He also said the Department of Health was in the process of transferring health services to National Capital District Commission as the government of the city of Port Moresby. Malabag also witnessed the swearing in of the new hospital board. Secretary of Health Pascoe Kase said that the Gerehu Clinic was one of two hospitals that were being taken over by the State and would function as stand-alone public health institutions. Kase said that the Gerehu General Hospital would have its own chief executive officer and a management team. Board chairman Peter Del Monte said that they were honoured to be appointed as board Members of the Hospital.